Highlighters are one of the beauty world's many joys, and who knows highlighters better than Jeffree Star?! I have tried out a couple of his single Skin Frost compacts before and they are incredible - the amount of product you get in there is enough to give you a full body highlight for about a year. As I have quite fair skin, I really wanted to try out the Jeffree Star Platinum Ice Skin Frost Pro Palette (loooooong name) as this has more (obviously) icy tones to it which will match my skin better. The Palette arrives in frosted metallic baby blue packaging, with the palette itself encased in silver metallic. On the inside lid there is a good-sized mirror and the then the main part of the palette holds six highlighters. Even for a palette, the pan sizes are so good, and you get plenty of product. The formula is super buttery and soft and they blend onto the skin so easily and they are so pigmented. 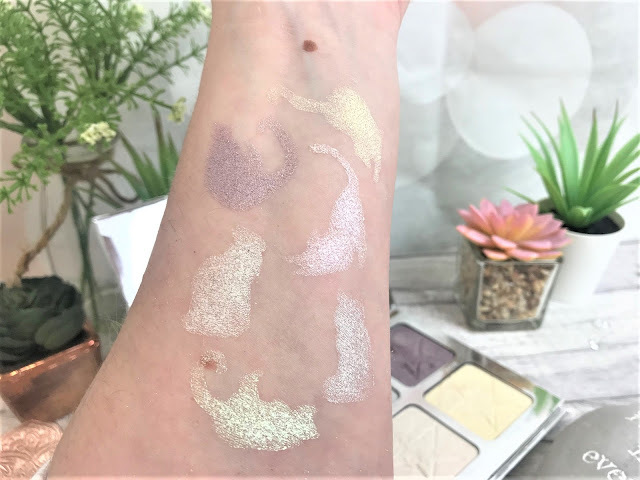 The highlighters can be used wet or dry, but they are so blinding that they don't even need water to make them more beautiful. 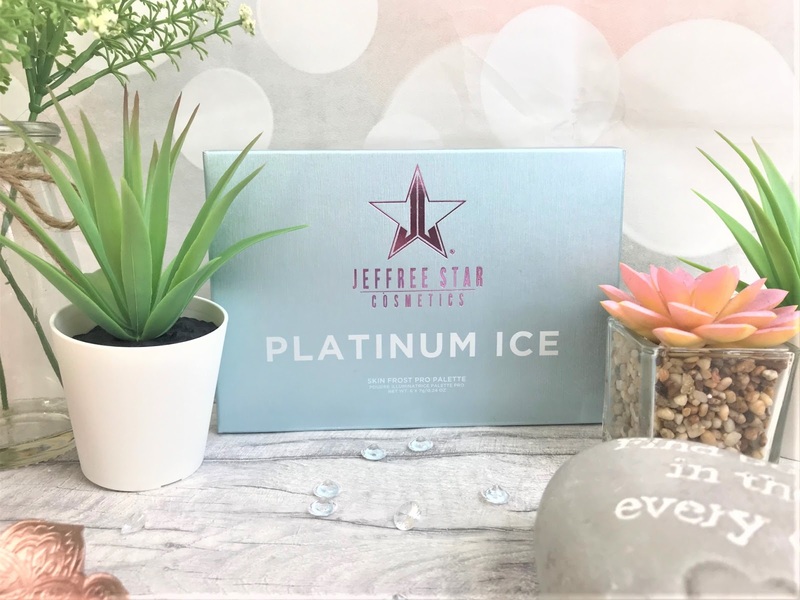 As with all of Jeffree's products, they are Vegan, Cruelty-Free, Talc-Free, Paraben and Gluten-Free. I did notice a small amount of fall-out from the more blinding shades, but I think you should expect that when products are so pigmented. 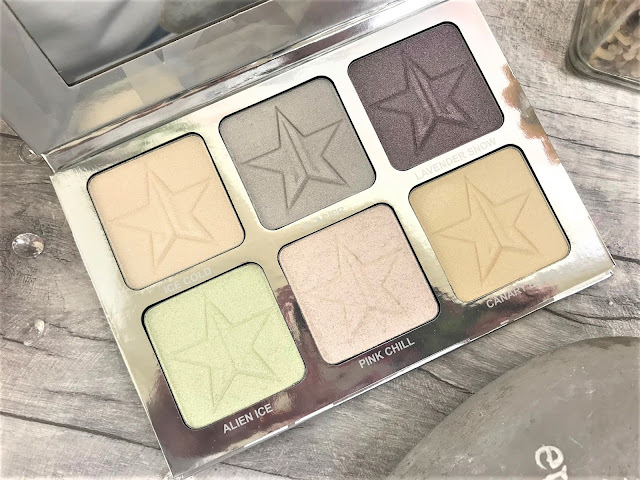 My favourite shades have to be Pink Chill, which can also be used as a highlight topper, and Ice Cold as it is so full-on pigmented, I love it. If one of the shades isn't for you, then don't forget these are safe enough to use on the eyes too, so you can have popping eyeshadow! 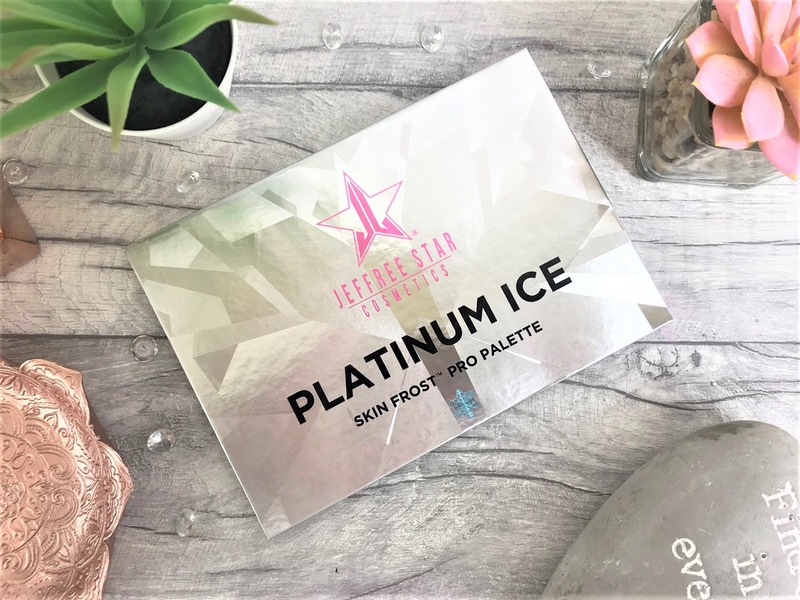 The Jeffree Star Cosmetics Platinum Ice Skin Frost Pro Palette costs £35 and is available online here in the UK at Beauty Bay.